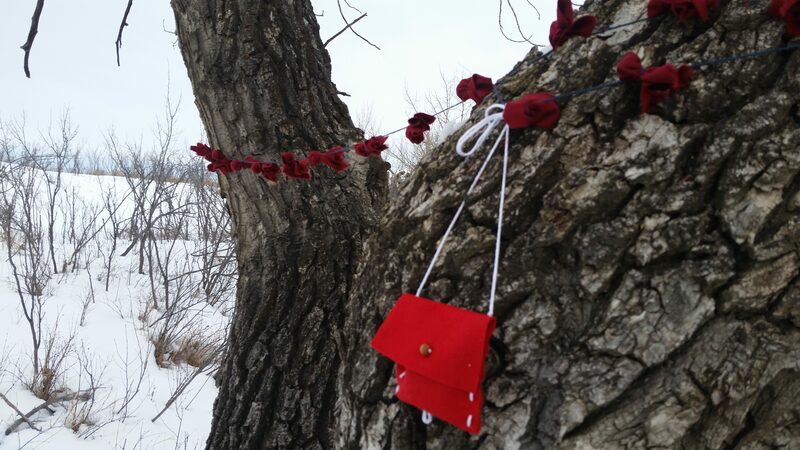 When you make a medicine bag, you make a commitment to Spirit and to yourself, to live in a good way. 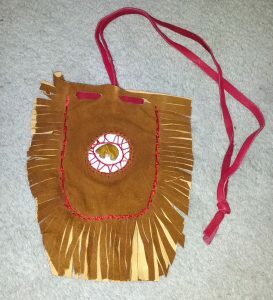 A medicine bag is a symbol of your personal medicine to heal you, help you grow, help you love and provide protection. Come spend an afternoon in our peaceful circle, smudge and pray for guidance in creating a bag just for you. Tea, smudge and all materials are provided. Everyone is welcome to join us. We are wheelchair accessible. Cost: This event is Free if you just want to come and listen, smudge and pray. If you want to make a medicine bag with us, there is a materials cost of $25. This covers the cost of tools & leather, workshop space rental, and sponsorship for low income participants. We’ll craft our bags from cloth or leather, and decorate them. Teachings of ways to honor and show respect for your medicine bag and the spirit behind it will be part of this workshop. 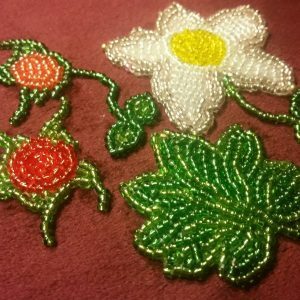 Medicine Bag Making teachings in this workshop are not aligned with any particular tradition. I am not an elder, but I do have permission to share these teachings. I am a medicine bag carrier for 11 years, who wishes to share the gift of knowledge, growth and healing I’ve received from holding a medicine bag. Proceeds go to rent, supplies and sponsoring attendees with disabilities. This workshop is wheelchair accessible and open to everyone. How many participants would you like to sponsor? To whom should we give thanks? *Sponsored Participants are chosen on a first-come, first-served basis, and self-identify as needing financial aid. Your donation is greatly appreciated by the person you sponsor! You can leave your contact info or name of your organization in the text-fields above, if you wish to be acknowledged during the workshop. Everyone is welcome to come and listen for free. For those who wish to make a medicine bag along with the group, the cost to cover materials is $25. Sponsorship is available for low-income individuals who otherwise could not afford to attend. To attend just the teachings or request sponsorship, please email Kalyn@KodiakHerbal.com . This workshop will take place in Central Calgary at Herbal Healing Inc, Bay G, 2410 2nd Ave SE. You can see our workshop policies here. For questions about this workshop, please contact Kalyn@KodiakHerbal.com .